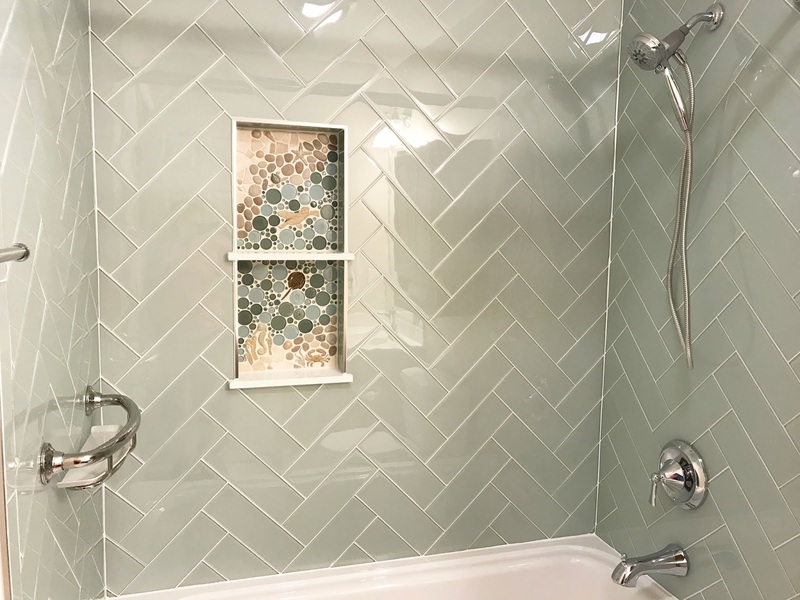 We have some new installation photos we'd like to share with you. These photos always seem to be a favorite so we're always excited to add new ones to our website! Check out a few of them below and be sure to see the rest of the new additions over on the Photos & Ideas page! This custom kitchen backsplash is based off of our standard "Are We There Yet?" 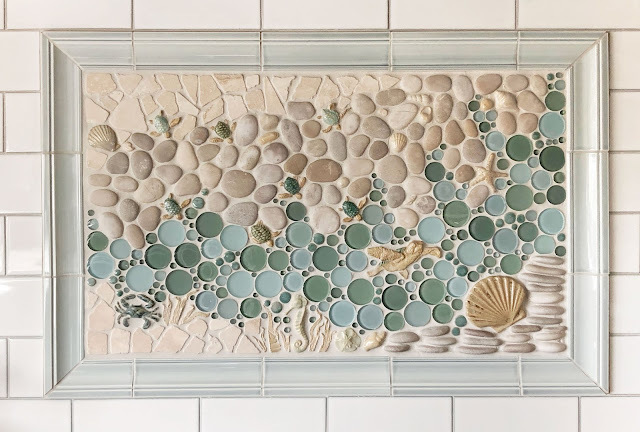 mural from the Ocean Dog Collection. A few of the notable friends in this mural are the 2" Baby Sea Turtles, 5" Swimming Sea Turtle, and the 4" Scallop Shell. 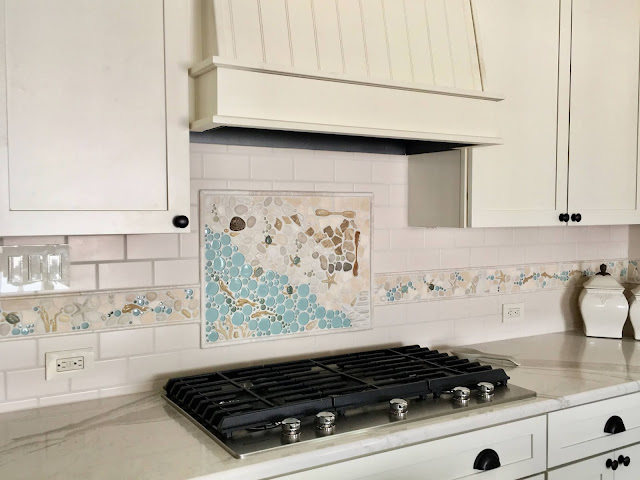 Another custom kitchen backsplash, this time with a matching border! This mural features friends from all 3 of our collections! Some pieces from the Ocean Dog Collection include the 2" Baby Sea Turtles, 3" Extra Small Starfish, and more. From the Pond Dog Collection there's the 3" Koi and 6" Medium Oar #3, and last but not least, from the Lake Dog Collection we used the 3" Fluid Fish. Another wide angle shot of this kitchen can be seen on the Photos & Ideas page! This custom kitchen mural features friends from the Ocean Dog Collection, such as the 2" Baby Sea Turtles, 6" Medium Starfish, 6" Medium Seahorse, and many more. 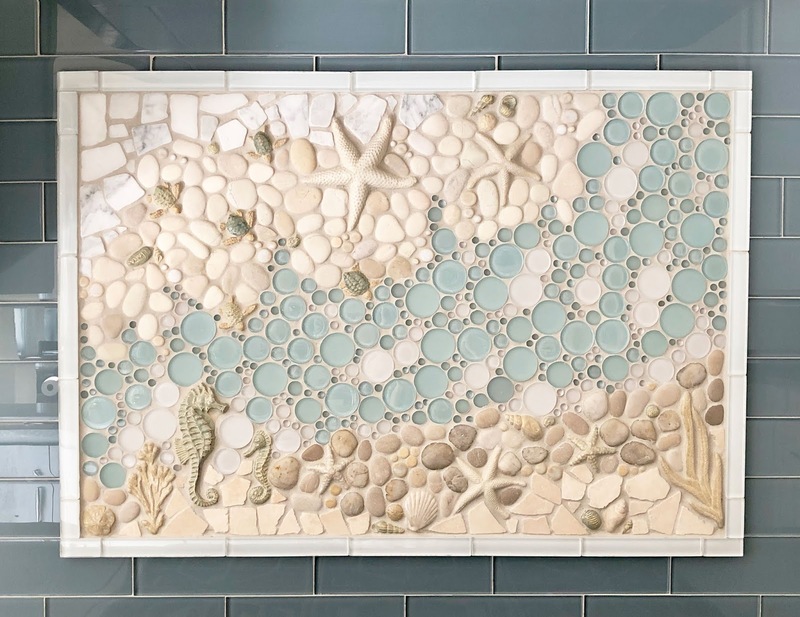 This bathroom shower recessed niche features our 4" Baby Horseshoe Crab, 3.5" Small Seahorse, 3" Small Crab, and a few other friends included in the Ocean Dog Collection. We hope you enjoy! Be sure to check out the rest of the new additions to the Photos & Ideas page, as we've added new photos to all 3 of the galleries!